Hearty and delicious! This comforting vegetarian dish is full of earthy flavours and has a satisfying texture to every bite. 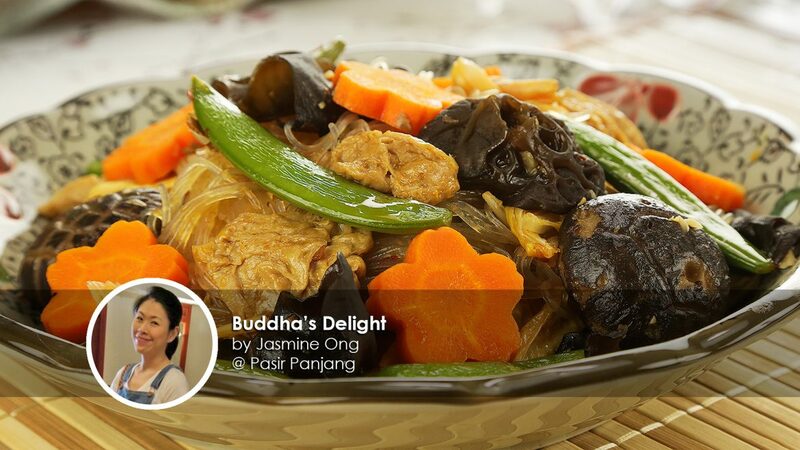 A recipe shared by home cook Jasmine Ong, Buddha's Delight (罗汉斋) is a popular vegetarian dish that is traditionally consumed by Buddhist monks. Now it's dish a common household dish and Buddhists have it on special occasions such as Vesak Day. For our version of the Buddha's Delight, we made extra effort to make it look beautiful. We sliced our carrots in beautiful floral designs and used a wide variety of ingredients to give it superb texture and flavour. 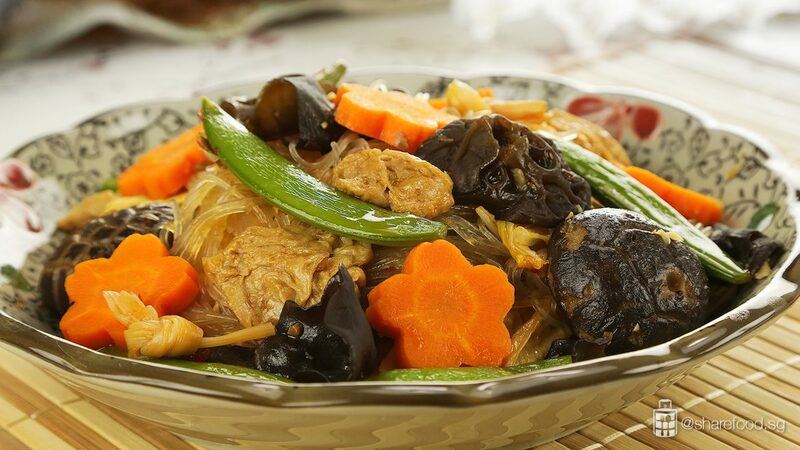 In this recipe, we used vegetables and other ingredients such as beancurd skin, black fungus and dried lily buds. Not only is this dish delicious but it's packed with benefits too. 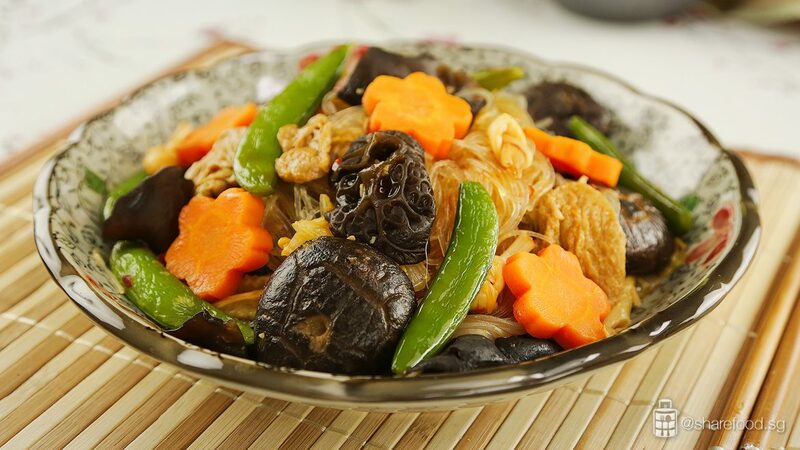 Black fungus helps to reduce cholesterol, prevents anemia and treats heart diseases too. The beancurd skin is high in protein, low in fat and it is an excellent substitute for meat. The dried lily buds are the unopened flowers of the daylily plant which is known in traditional Chinese medicine to help with insomnia and treat respiratory disorders. Bursting with flavours, this hearty vegetarian dish will be a great way to start your Vesak Day! 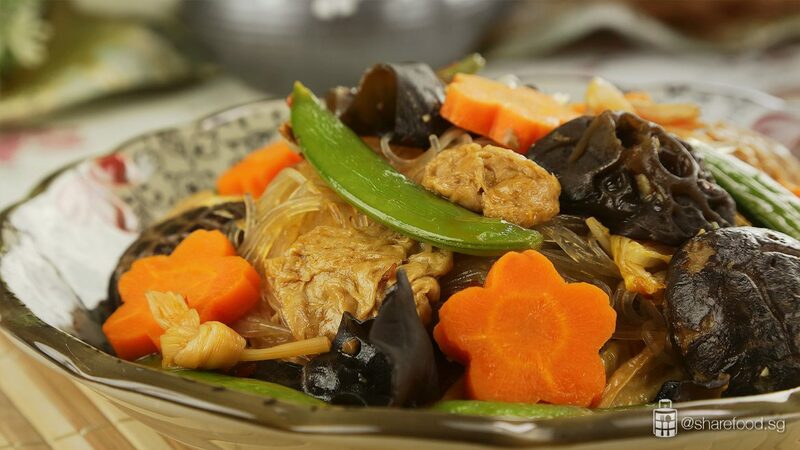 Follow our recipe or make your own version of the Buddha's Delight with all your favourite vegetables. Sweet Beans: Rinse in water. Make a small slit on the top of the beans, pull out the hard-fibrous part as shown in the video. Lily bubs: Soak in a bowl of room temperature water for 30 mins till soften. Snip the ends and tie a knot. Chinese shiitake mushroom: Soak in a bowl of hot water for 30 mins till soften. Remove the stem using a pair of scissors as shown in the video. 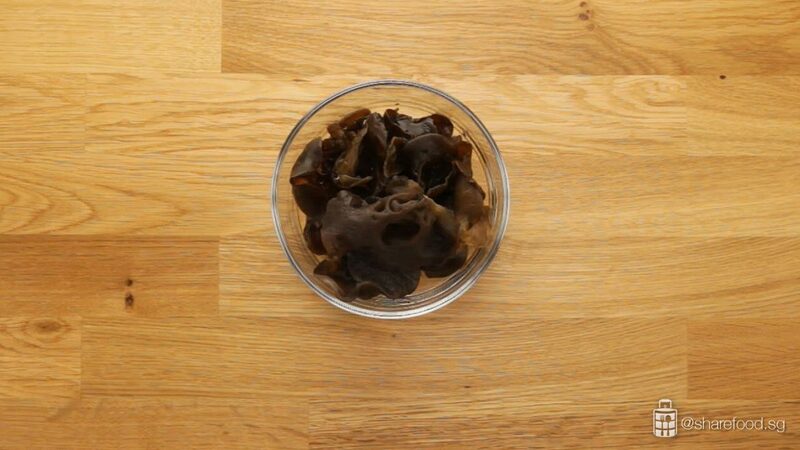 Black fungus: Soak in a bowl of hot water for 30 mins till it fluffs up. Remove the hard part of the fungus using a pair of scissors as shown in the video. 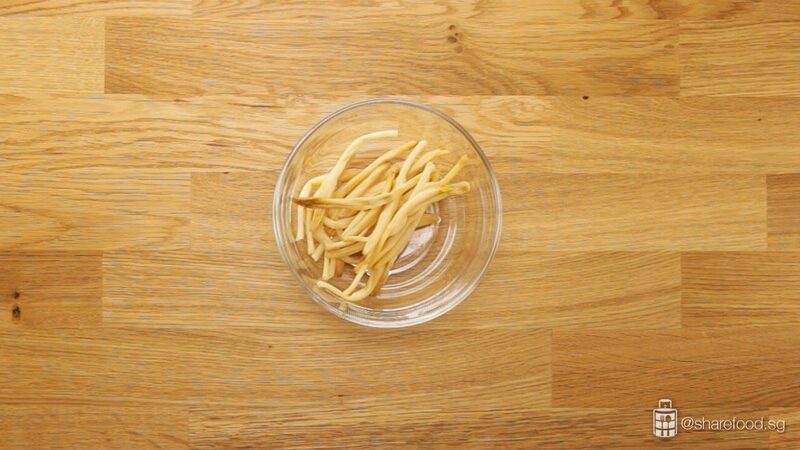 Glass noodle: Soak in a bowl of room temperature water for 30 mins till it softens. 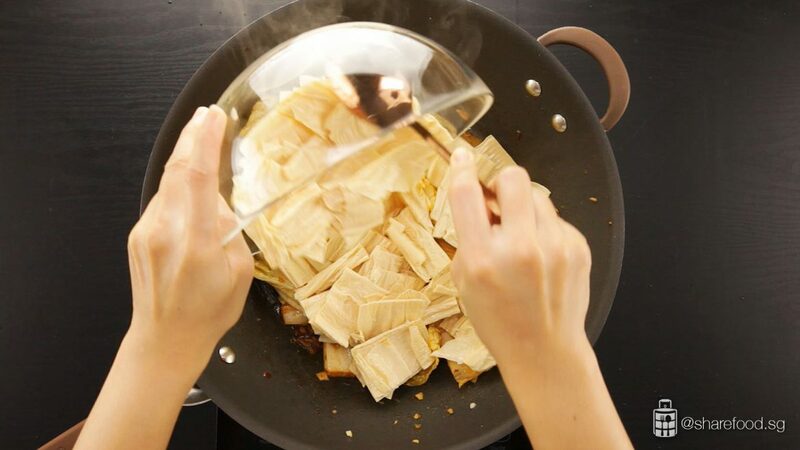 Beancurd sticks: Soak in a bowl of room temperature water for 30 mins till it softens. Use a knife and cut into 5cm length portion. 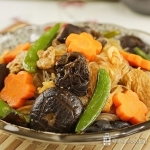 In a large frying pan with heated oil, stir-fry garlic and ginger till fragrant. Add in spicy bean paste and fry till fragrant. Add chinese cabbage and stir fry till soften. Add the remaining ingredients, except sweet pea. Mix evenly and simmer for 2 minutes. Add the sweet beans and continue to simmer for about another 2 mins till all the ingredients soften. Add more water if required. Lastly, add in glass noodles. Stir gently and let it simmer for 1 minute to absorb the gravy. Best served immediately.